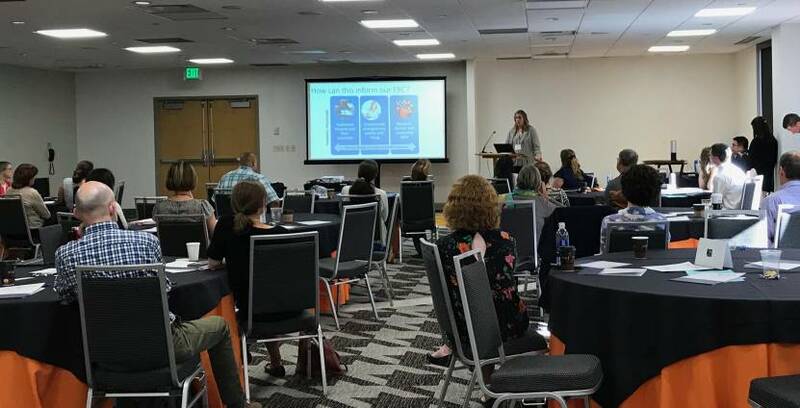 Stimulating presentations and lively discussions filled the 11th annual Western States Occupational Network (WestON) meeting in Denver last week. 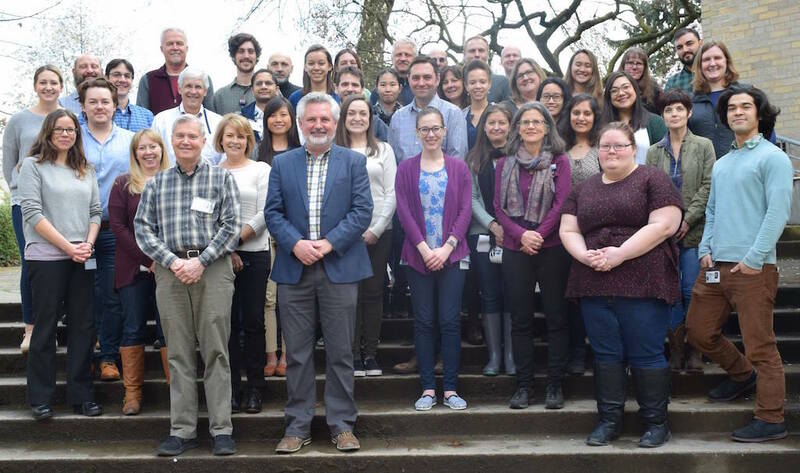 The Oregon Fatality Assessment and Control Evaluation (OR-FACE) program was invited back to participate in this engaging network of occupational and public health professionals and epidemiologists. 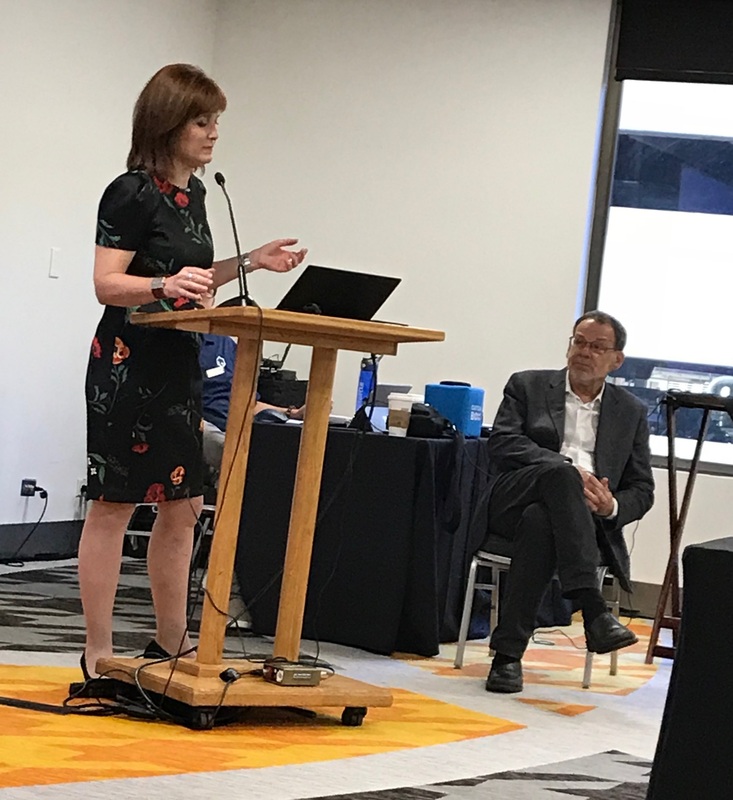 Meeting presentations sparked discussion about safety messaging, collaborations, new data surveillance tools, translating and disseminating significant research into practice, and more. Barb Epstien, fatality investigator and outreach specialist in the OR-FACE program, gave a Quick Takes presentation about the ongoing partnership between OR-FACE and the Oregon Trucking Associations (OTA). The presentation included some of the Oregon Healthy Workforce Center field research studies aimed at improving commercial truck driver safety, health, and well-being, and also OR-FACE’s upcoming training sessions for OTA’s Safety Management Council, to improve driver safety and strengthen our trucking fatality investigation capabilities. Barb also lead a “Brain Buster” session, small-group breakout sessions where participants brainstorm ideas and share challenges and successes on a current project or issue. 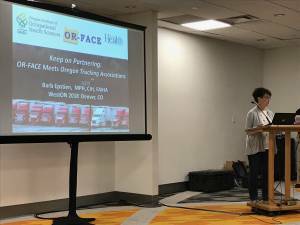 Barb lead a discussion about OR-FACE’s construction field research study aimed at increasing use of one of the popular OR-FACE toolbox talk guides among residential construction contractors and workers using digital mobile marketing. The group explored ways to effectively engage this high-risk but often hard-to-reach population. 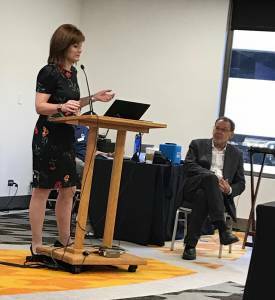 Anna Werner, investigative reporter at CBS News, gave a compelling and well-researched keynote about the hazards of methylene chloride, a chemical used in paint strippers. Use of these products for bathtub refinishing have proven to be fatal (see 2013 Oregon and the Workplace blog: Resurfacing Bathtub Causes Death in Oregon for one example). Anna’s skills in effectively conveying the details of the story and making an impact on an audience were evident.